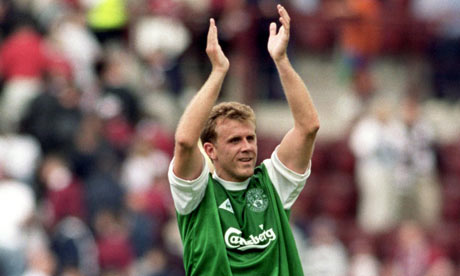 A forgotten Hibs hero but surely one of the greatest of them all. Jimmy was an inside-forward for the great ‘Wembley Wizards’ and vastly talented as a big money move to Everton will testify. Noted as something of a ‘clown prince’ of his time and a great entertainer with his intricate ball skills. 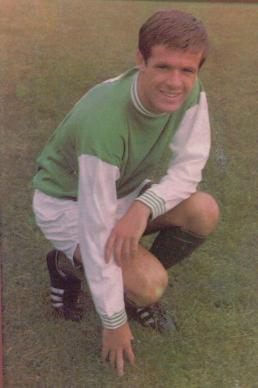 Possibly Hibs’ first ever superstar? 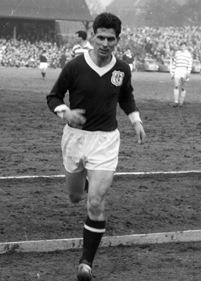 A very much loved player who sadly didn’t enjoy the best of health. 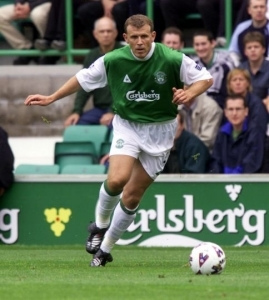 An elegant and highly-skilled forward player who entranced an earlier generation of Hibernian FC supporters. The man with the nickname’ Onion’ was another world-class performer, there is little doubt about that. He revolutionised his position of right-back and was an incredibly potent attacking threat. 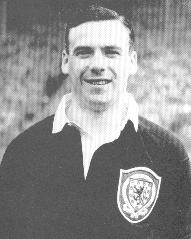 If he had played for the Old Firm instead of McGrain and Jardine (both extremely gifted performers themselves) he would have had many more Scotland caps. 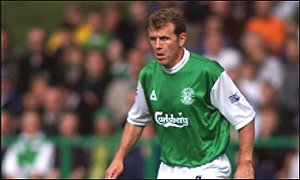 There’s no point in waxing lyrical about ‘The Gay Gordon’, everyone knows of his greatness and there’s probably not much argument in that he was Hibs’ best-ever player. When you hear the stories of his outrageous skills such as in heading the ball to himself all the way down the right wing before shooting at goal, you know you are talking about someone special and unique. 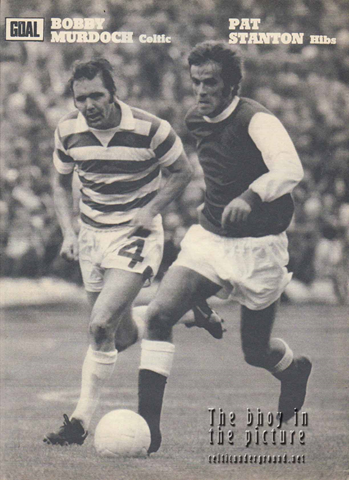 RIP ‘The Prince of Wingers’. Arguably Hibs’ highest achiever on the international stage with an incredible scoring rate for Scotland. All the qualities required of a great striker and and still a wonderful and revered Hibee to this day. 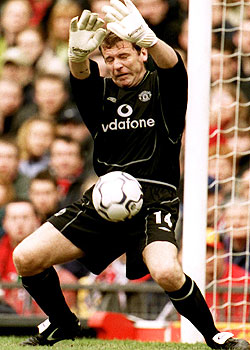 Forget about Goram the man and concentrate on the player only and Andy is a shoe-in for addition here. 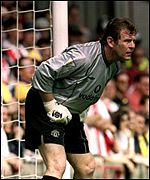 In an era when Hibs boasted great goalkeeping from Rough and Leighton, Goram shone as the best-ever goalie for me – not only for Hibs but for Scotland too. This Famous Five member was perhaps overshadowed at times by Gordon Smith’s super-stardom, adulation and hero-worship but few did more for the cause. Hard as nails, a pile-driver shot and a leader. He came back to do it all over again as a manager. 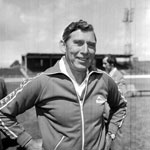 His team ‘Turnbull’s Tornadoes’ were arguably the best-ever Hibs side but the temperament that had made him successful as a player and manager finally conspired against him as he broke up that terrific side prematurely. He has to be there. It’s tempting to slightly write him off as a player who was past his best when at Easter Road but the man was absolutely immense. After a disillusioned hiatus with football generally, he was the man who single-handedly brought me back into the fold. Franck was completely dominant on the pitch, his reading of the game allowed him to augment the team from the back, spraying balls to his teammates all over the pitch. 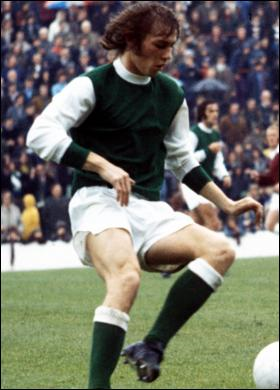 Brave, with a stinging and powerful shot and a confident performer who led by example, he would have been a worthy performer in any Hibs team in history. A worthy eventual successor for Pat Stanton’s number four jersey. I can speak no higher. I’ve actually left two of my three favourite Hibees of all-time here in Alex Cropley and Peter Cormack in the interests of fairness in including a couple of historical figures for the Hibs. Cropley was a particularly difficult omission. Hmmm. James Dunn and Mickey Weir – could they be in any way related??? Same height, similar demeanour apparently. I think you may have something there, Fraser! I’m trying to find out as much information on Willie Groves as possible as i’m looking to do my family tree. Willie was my Great Great Uncle on my Dad’s side, unfortunately my dad doesn’t really know much about him and my grandad (Willies’ Nephew) died 5 years ago. So really I wondered if anyone knew what he did after he retired from football, I understand he and his wife had a pub but not sure if this is true. Also did he have any children, I’ve only just started my search so I expect i’ll probably find a lot of info on the internet, but any help would be appreciated. You’ll find some good reading about the great man there. 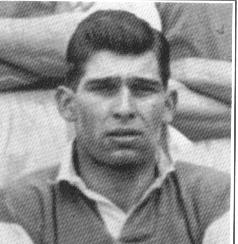 You might well know that Willie began his professional football career at Hibernian before being transferred to Glasgow Celtic. 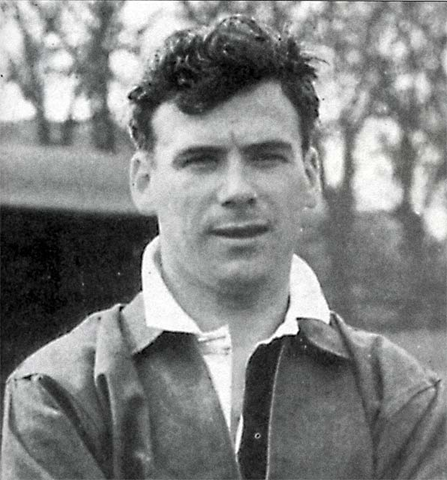 He also spent a period in England at Aston Villa. Willie suffered from ill-health and died a relatively young man so I’m not sure how much would have happened after his football career ended. 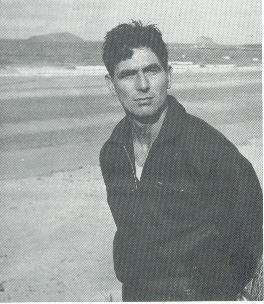 Can I also suggest registering and posting on Hibernian fan site: http://www.hibs.net as there is at least one Hibs historian that I know of that is regularly to be found on there. You may also find some useful material from similar Celtic sites.